Changes the slope of the HighCut filter from 6dB/oct to 12dB/oct. Off: hardwire bypass with relays. 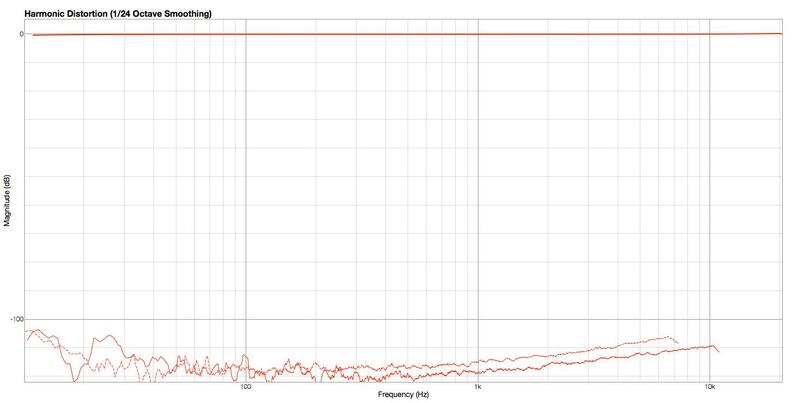 Adjustable Cutoff frequency from 2kHz up to 22kHz. up: True hardwire bypass with relays. Here you can boost the level at the cutoff frequency. It starts at -3dB, cause the cutoff point is defined where the level drops 3dB. 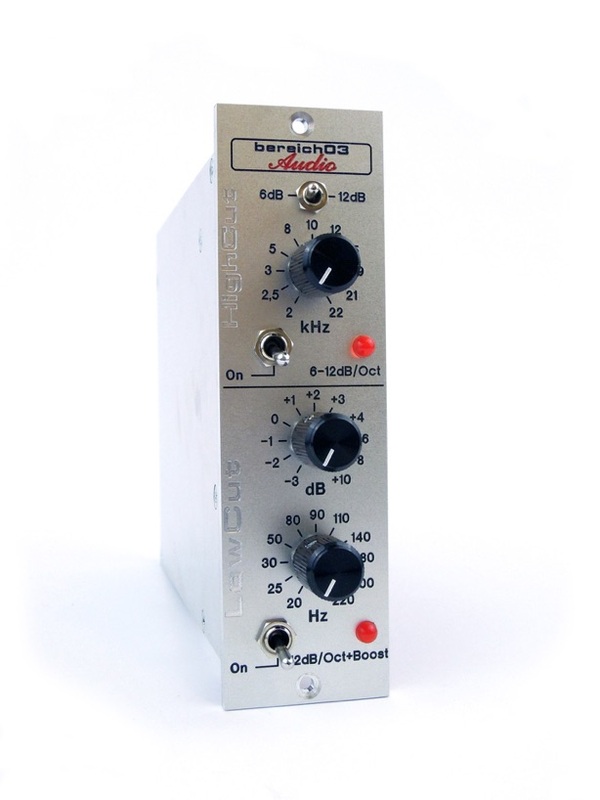 You can boost up to 10dB. Adjustable cutoff frequency from 20Hz up to 220Hz. This module contains a LowCut filter and a HighCut filter. At the HighCut filter you can change the slope from 12dB/oct to 6dB/oct. During the developing of this module I started with the 12dB/oct version. I realized that I can hear the cutoff frequency with the 12dB/oct slope. This is sometimes ok, but not always. So I decided to add a 6dB/oct slope. This is much more gentle. You can soften harsh sounds in a very natural way. 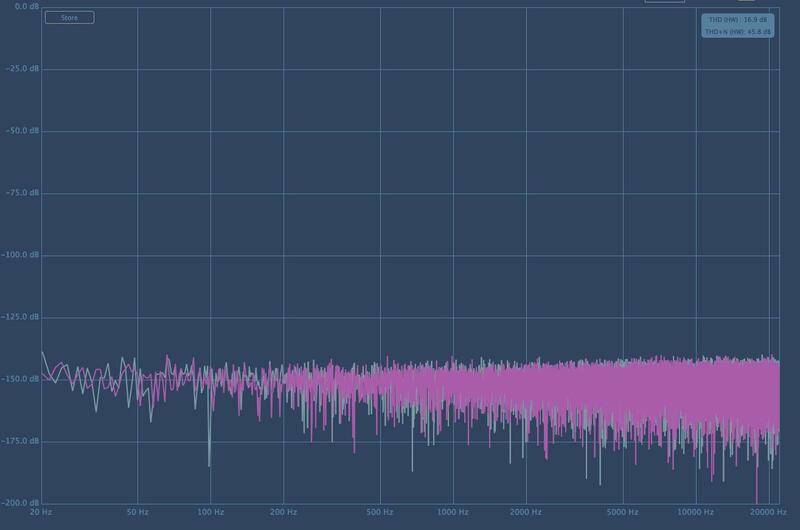 The range goes from 2kHz up to 22kHz. The LowCut filter has a 12dB/oct slope. The range goes from 20Hz up to 220Hz. When I started building this LowCut filter, I spent a lot of time experimenting with the shape of the cutoff point. 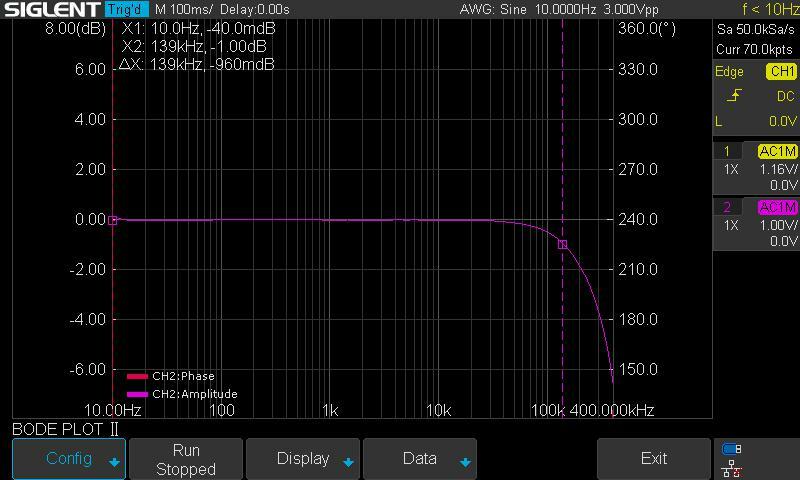 In this module I ended up with a version where you can adjust the boost at the cutoff frequency with a poti.